How do I know what transformer to use? ‐ Secondary Ground Fault Protection is a built in safety feature that automatically shuts off the unit when the secondary GTO leads are exposed to ground. This safety feature is to help prevent fires and damage to property. ‐ Over-voltage protection is a feature that will shut off the transformer if it is put under a large load. This feature is to prevent the transformer from overheating or causing a fire. ‐ Yes, our transformers are self-adjusting. This means that the transformer-will automatically adjust to the voltage needed to properly light the sign. For example our CPI-10-35 will adjust from 2kV to 10kV as needed. Can these transformers be used outdoors? ‐ Our magnetic transformers are safe to use outdoors, Our Electronic transformers are not recommended for outdoor use. If you intend to use these transformers outdoors you will need to put them in a proper enclosure. Why is the bottom of the transformer metal? ‐ The base of the transformer has an aluminum heat sink to help dissipate the heat and extend the life of the transformer. Why are your transformers 35mA while others are 30mA? ‐ An electric current is a flow of electric charge. In electric circuits this charge is often carried by moving electrons in a wire. In our case it is carried through the glass tube across electrodes. Our transformers have a higher flow of electrical charge which will excite more of the noble gases that are in the tube producing a brighter sign. Why do you carry a non UL transformer? ‐ Our non UL transformers use the previous UL standard UL506. This Standard has been updated to the new UL2161. We continue to offer these models to give our customers a less expensive option. Are the DC units only for automotive use? ‐ No, CPI Advanced Inc.’s DC transformers can be used in many different sign applications. 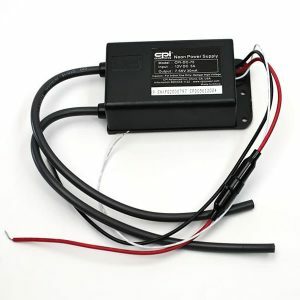 You can use these transformers any where that has 12VDC power. What is the difference between GTO-10 and GTO-15? ‐ GTO-10 is rated for 10,000 Volts while GTO-15 is rated for 15,000 Volts. This means that the cable is insulated better to protect you and your sign or project. That is why CPI Advanced Inc. only uses GTO-15 on all of our Electronic Neon Transformers. Why do some of the CPI-10-35 transformers have 0.57A input amperage and some say 1.2A for the input amperage? ‐ On some of the older CPI-10-35 transformers there was a mistake on the label for the input amperage. The correct input amperage is 1.2A. Is it a good idea to use metal tie wire to hold the GTO wire in place? ‐ No, it is not a good idea to use metal tie wires to hold the GTO wire in place. 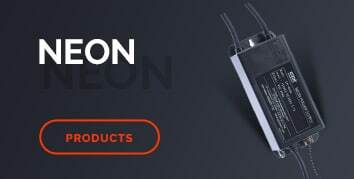 Do your neon power supplies change polarization? ‐ No, our power supplies do not change polarization. Why does the transformer keep shutting off? ‐ The transformers have safety features that will automatically shut off the unit. Always insulate the secondary leads with an END CAP or SHORT STOP to prevent them from becoming grounded. Always make sure you account for all electrodes when calculating total footage. If the transformer is installed with incorrect power to the input this could cause the transformer to shut off due to overload. Why am I getting mercury migration? ‐ There are many factors that can contribute to mercury migration. Some of these factors are listed below. If the transformer has insufficient voltage supplied to the input. If the GTO Secondary leads are crossed this could cause the leads to unevenly distribute power. If the glass tube is leaking or contaminated this could cause the sign to light unevenly. If one of the secondaries on the transformer is failing it could also lead to mercury migration. For more information on neon look at our Neon 101 page. How do I know what Power Supply to use? 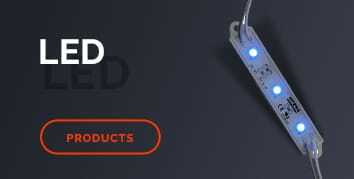 ‐ Each LED Module has a specific power needed to light the module. You will need to know how many LED Modules you are trying to run and what the power requirements of the module are. For example if I was trying to power 100 3 Light Modules I would need to calculate the power needed. One 3 Light Module needs 0.72W to be powered properly. If you multiply 0.72W by 100 you end up with 72W. That means you would need a Power Supply with more than 72W output to power that many Modules properly. 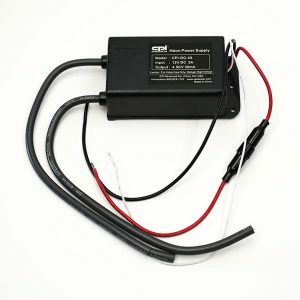 What is the Short Circuit Protection with auto recovery? ‐ This is a safety feature that prevents the unit from powering if there is a short circuit. If the short is resolved while the unit is still on it will begin to run again automatically. Is the LED Power Supply waterproof? ‐ No, the LED Power Supplies are not waterproof. They have an IP Rating of 64. This means that they are protected from dust and water splashing against the enclosure from any direction shall have no harmful effect. Why are all the LED Modules off? ‐ The LED Power Supplies have safety features that will automatically shut off the unit. If there is a short circuit the unit will shut off. If the Power Supply is installed with incorrect power to the input this could cause the Power Supply to shut off due to overvoltage. Why are the LED Modules bright at one end and dimmer at the opposite end? ‐ This can happen if you are using a Power Supply that does not have enough wattage to run the amount of LED’s that you are using. If you would like more information on LED’s check out our LED 101 page.